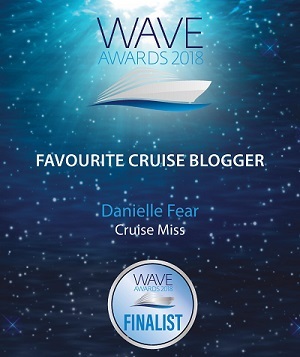 Throughout September and October, the global cruise industry is coming together to promote everything that is wonderful about cruising. Across social media, you’ll see the hashtag #ChooseCruise and this represents 2 whole months of talking ship! 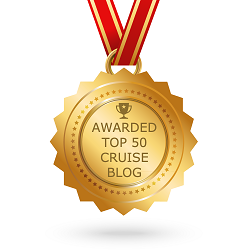 I’m proud to say that last week, I was the CLIA (Cruise Lines International Association) blogger partner for ‘Relaxation’ week and although my week is over, the campaign itself has only just started. 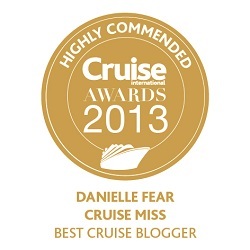 So, get involved, get sharing and get booking those cruises! Cruises offer great value for money, especially those that are all-inclusive – once on board, you need not worry about anything! Your on board accommodation and food are always included in the cost of your fare with every cruise line, but with some, your fare can also include drinks, gratuities, flights, transfers, shore excursions and even pre-or-post-cruise hotel stays. Whatever kind of cruise experience you want, you can have. Food has always been a substantial aspect of cruising and some of the finest dishes in the world are waiting for you at sea. There is so much choice when it comes to on board dining. You can have everything from a fine dining experience to a quick burger and fries by the pool. There is an option to suit everyone. Some of the larger cruise ships feature restaurants that offer more than 10 cuisine options. It’s not uncommon to find Italian, Japanese, Indian, Mexican, Asian, Spanish and British pub-style restaurants on board. Cruising is the perfect option for the entire family. If you are travelling with young children, then the on board kids’ clubs are your saviour. They are led be a dedicated team of qualified and highly trained members of staff and specific age groups often have their own designated areas. Sometimes, the baby care options do incur an additional cost, but for toddlers through to teens, the clubs are all incorporated in the cost of your fare. On some family-friendly ships they offer adult-only spaces, so you relax and enjoy a few hours of rest and relaxation while the kids are taken care of. If you like to travel on your own, cruising is probably the safest way to do it. I’ve met dozens of people since I started cruising that sail solo because they feel safe. Everything can be organised for you, so you’ll never be sightseeing alone, or if you’d prefer, you can go off and do everything independently. The choice is yours. No need to worry about finding a cab to take you back to your hotel following an evening of dining and dance, all you need to do is press the button on the elevator. A cruise allows you to unpack once and see several amazing destinations all in one holiday. Imagine boarding a cruise ship, unpacking and waking up the following day in Spain and then the next day in Portugal. It really is seamless and it’s a great way to uncover destinations that you may decide you want to spend a longer amount of time exploring on another holiday – or maybe even on another cruise by adding a pre-or-post-cruise land stay into your travel plans. With many cruise lines also placing a big focus on longer port calls, you have more time than ever before to explore each destination that your ship calls on. 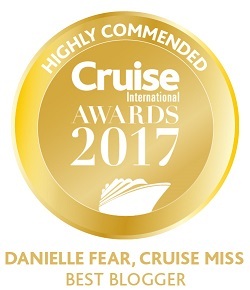 Your ship is your home for the duration of your cruise and you will be looked after from beginning to end by a fabulous team of dedicated individuals from all over the world. Without our outstanding crew members, we wouldn’t have the cruise industry that we do. These men and women work day and night to ensure you have the best possible cruise experience and I’m almost certain that you will never have received such dedicated and passionate service in any hospitality environment as you will when you set off to sea. There are many options to sail directly from UK shores, cutting out the need to fly. In the last 3 years, destinations have become more exotic, making a cruise directly from the UK even more tempting. You can choose anything from 2-weeks in the Mediterranean to a full circumnavigation of the globe. I don’t like to fly, so sailing from the UK is the ideal choice for me. I will also sail from other ports if I can reach them without having to board a plane. Amsterdam, for example, is a great embarkation port. Whatever cruise you choose and wherever in the world you decide to explore, you’ll certainly not be disappointed. Remember, always use a travel agent you can trust and if you have any questions, don’t be afraid to ask!